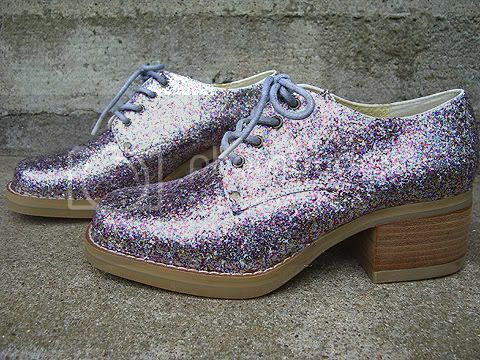 I have a fun idea for a themed party with my friends, glitter shoes party! 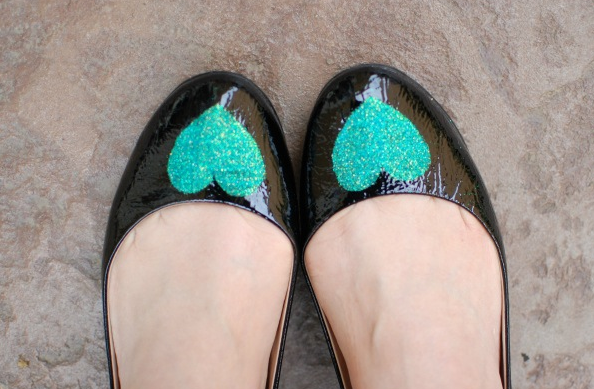 All you need is a pair of plain shoes, Mod Podge, glitters, sequins and rhinestones. 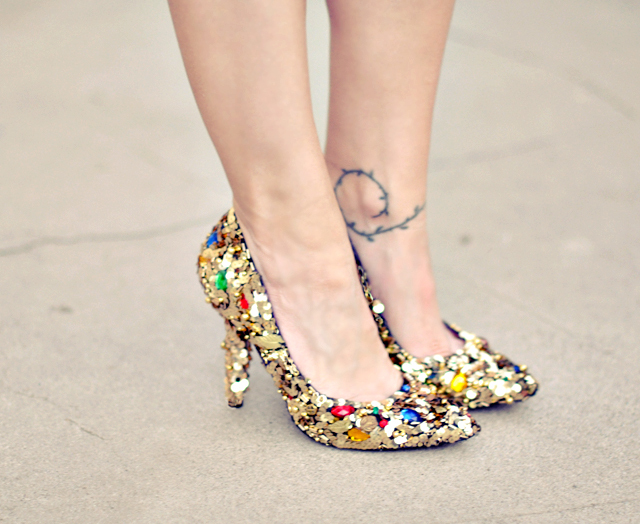 At the end of the party you’ll have a dazzling pair of shoes and great stories to share with your friends. Here are some excellent examples for inspiration. Maegan from Love Maegan was inspired by Dolce and Gabbana pamps. Leave the heel untouched, follow AnnieSpandex for instructions. Make them sparkle just in the middle. The tutorial at Milk Teeths. 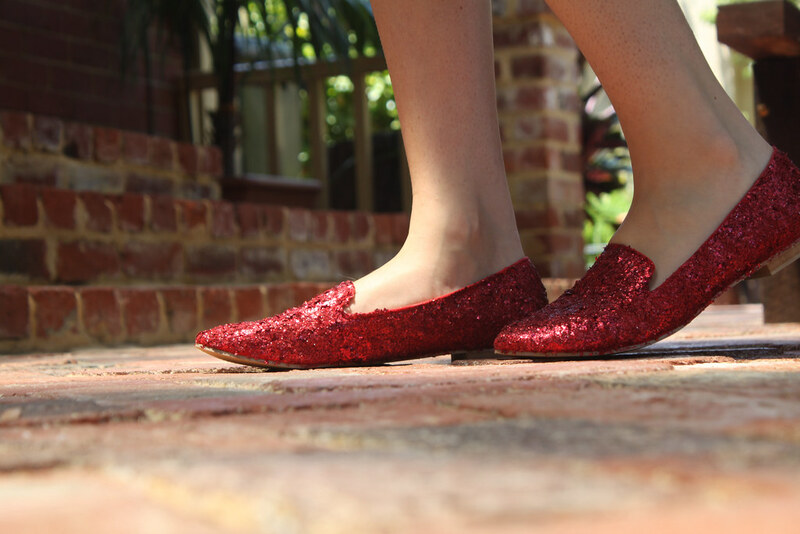 For fans of Dorothy. Check out the tutorial at Le.Fanciulle. Very fancy sneakers! Visit Honestly... WTH to learn more. Use glitters to add some colour to your boring black shoes. You can find the tutorial at The Dainty Squid. The romantic touch at She Knows. Gorgeous wedding shoes. Visit Heather Says for the tutorial. 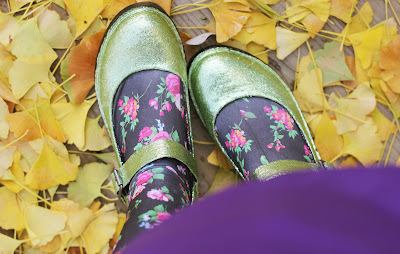 What a great glitter shoe summary!